Weekend or short breaks are an ideal way to grab a holiday without breaking the bank or being away from work for too long. Farm Stay holiday cottages and B&Bs are comfortable, high-quality, rural properties, often located on real working farms. They make the ideal place to stay for anyone looking to escape the hustle and bustle of urban life- even if only for a few days. And once you are in Berkshire you will discover absolutely loads to see and do. 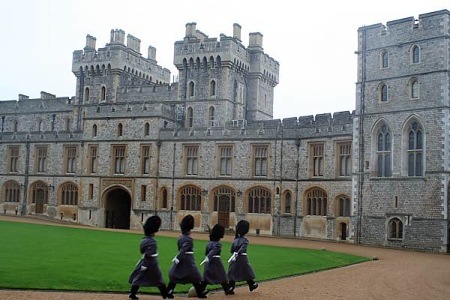 Windsor Castle is a must-see for anyone thinking of enjoying a weekend break in Berkshire- the home of the royal family for over 1000 years, this castle is the largest and oldest occupied castle in the world. Windsor castle is synonymous with the Royal Family and is a huge part of British history and heritage, not to mention architecturally breath-taking. For those taking a short break with a family Legoland is sure to be a winner. This family friendly theme park is about everything Lego, the park is packed with Lego Sculptures- including a miniature Lego London- as well as Lego themed rides and regular shows for kids. Legoland is perfect for children up to the age of about 13, for any families with children older than this then Thorpe Park is undoubtedly the place to go. This theme park, second only to Alton Towers in size, is packed with thrill rides including stealth, where rides are propelled from 0-80mph and 205ft in the air in 2 seconds. A guaranteed hit with any teenager. For those more looking to enjoy the outdoors and ambience of Berkshire there are still plenty of places to visit. The river Thames flows right through Berkshire and consequently there are some fantastic riverside walks and beautiful villages located along the river, from Henley-on-Thames to Pangbourne to Streatley-on-Thames, Berkshire is packed with quaint villages in which to grab a pint or a coffee. Berkshire is a great place to take a weekend break for families or couples of any demographic. Whether you have small children, teenagers or no children at all you are sure to find plenty of wonderful days out and whoever you are you are sure to love staying in a Farm Stay holiday cottage or B&B. To find options for short breaks in Berkshire, please use the search links on the left of this page with ‘Berkshire’ as your destination.